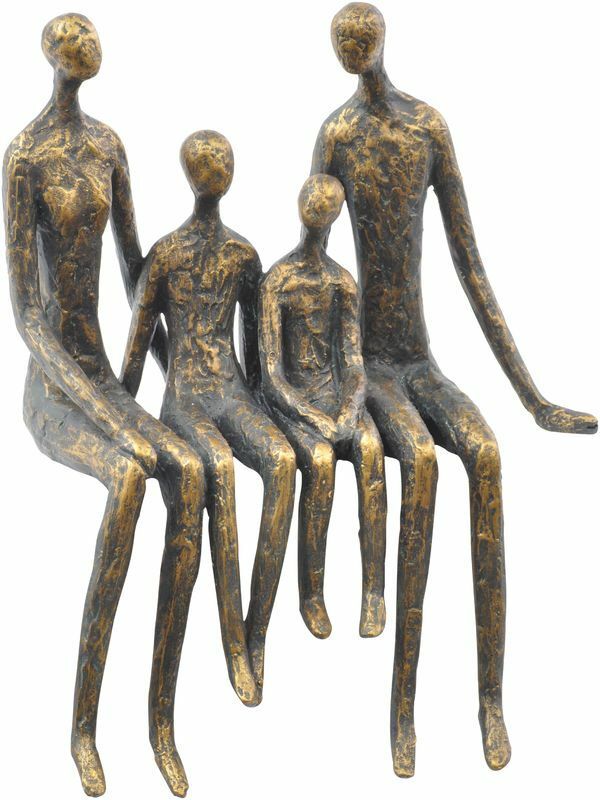 Sitting Family Of Four Shelf Sculpture. 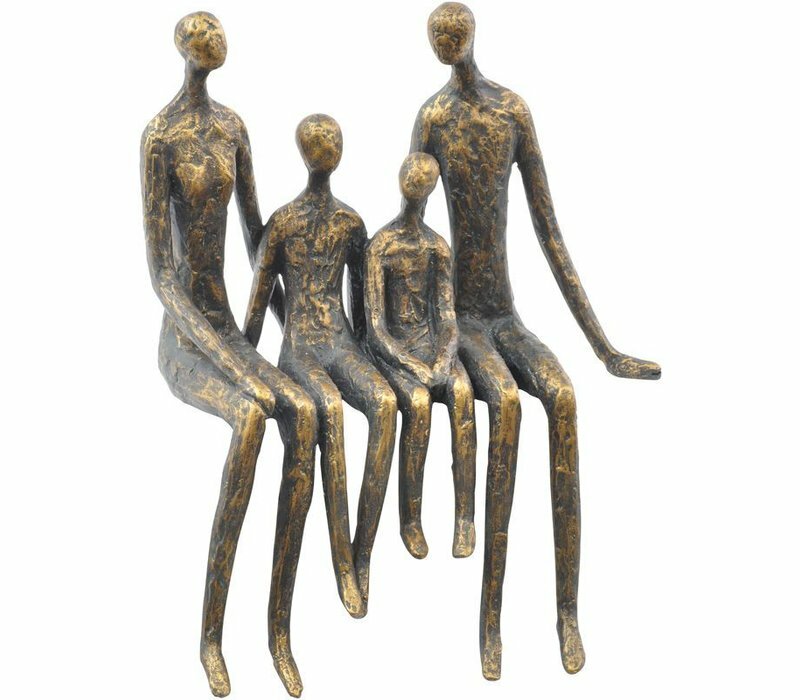 This antique, bronze sculpture is of a family of four. Designed to sit on a mantlepiece or the edge of a shelf. Perfect as a gift for a new home or a new addition to the family. 23.2cm w, 11cm d, 28.3cm h.